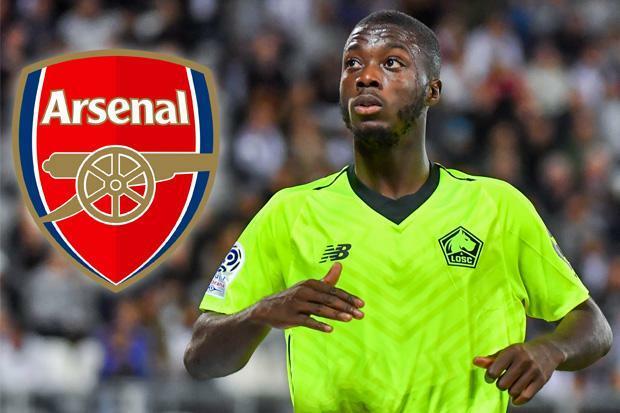 Arsenal are favourites to win the race to secure services of Lille forward Nicolas Pepe, according to the L’Equipe reports. The £45million-rated winger man is one of Ligue 1’s most exciting talents, after a superb start to the 2018/19 season. He has been rumoured with a number of top teams following his scintillating run of form, with the North London club one of those hotly-tipped to make a move for his signature. The Ligue 1 club are thought to be open to the idea of selling arguably their most prized asset and January transfer window is unacceptable. Be the first to comment on "Almost Done: Arsenal lead race to sign 23-year-old Ligue 1 sensation in January"